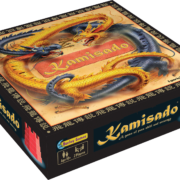 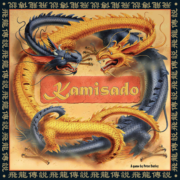 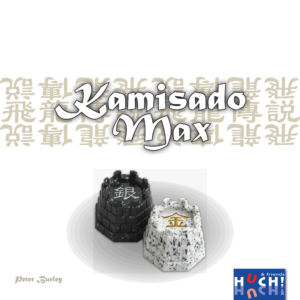 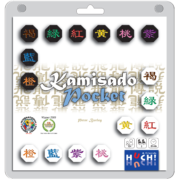 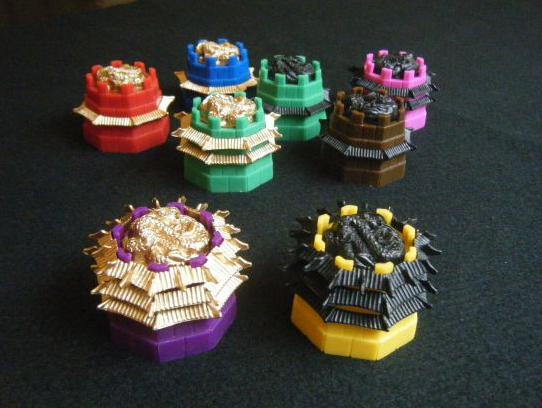 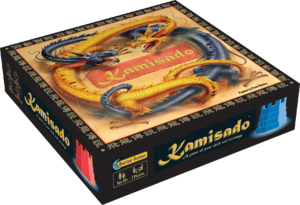 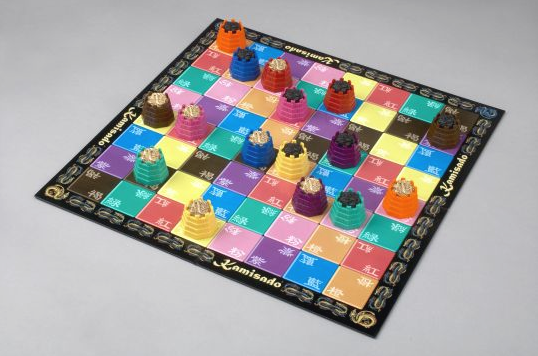 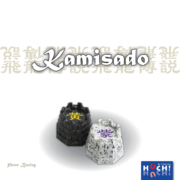 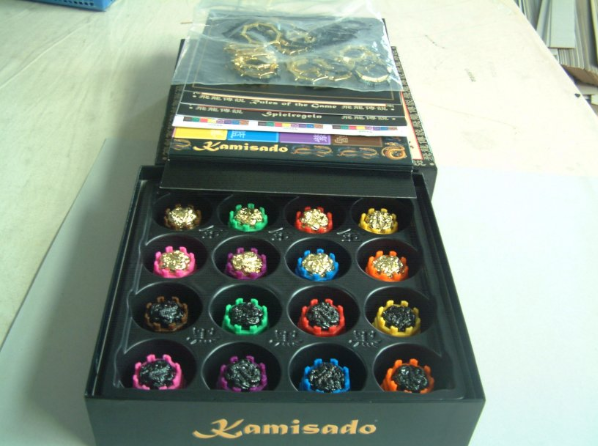 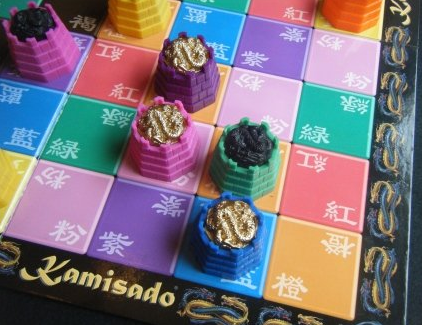 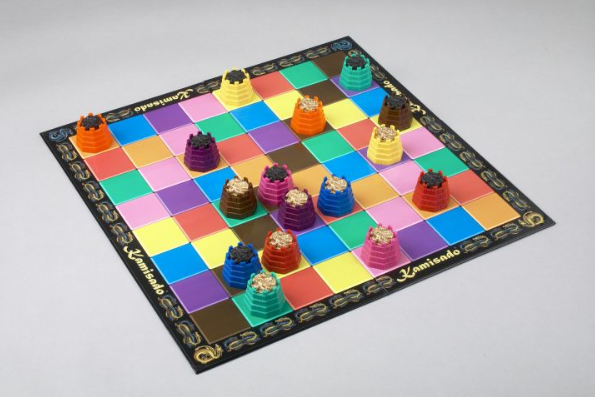 Kamisado is a game of pure skill and strategy! 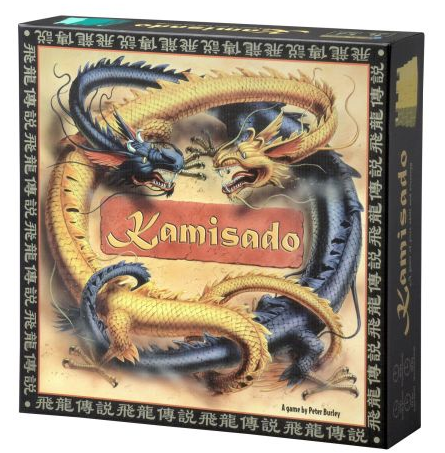 There are no dice, cards, or any other chance element. 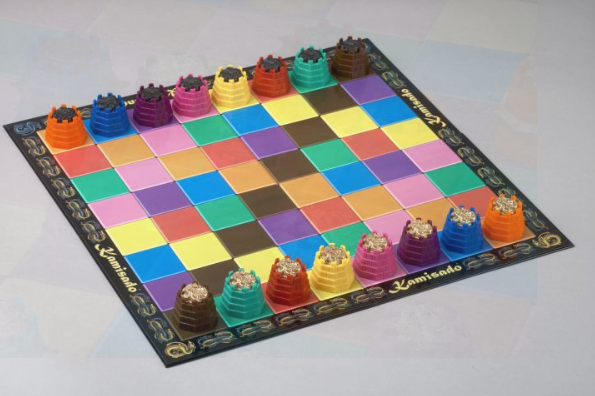 It’s just you against your opponent! 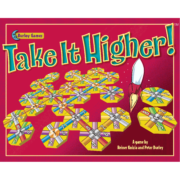 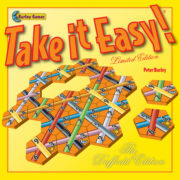 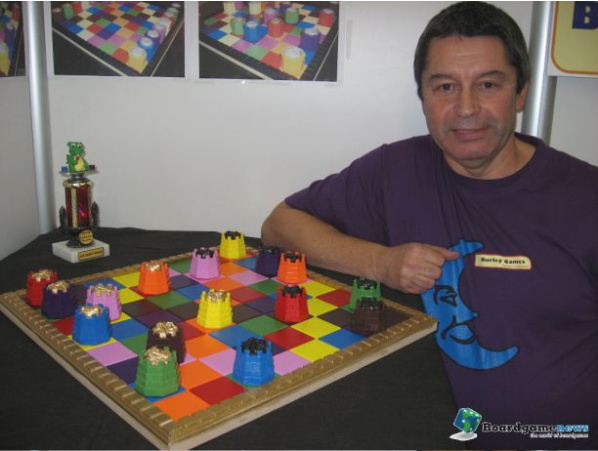 The aim in each round is to be the first to get an octagonal ‘dragon tower’ to the opposite side of the board. 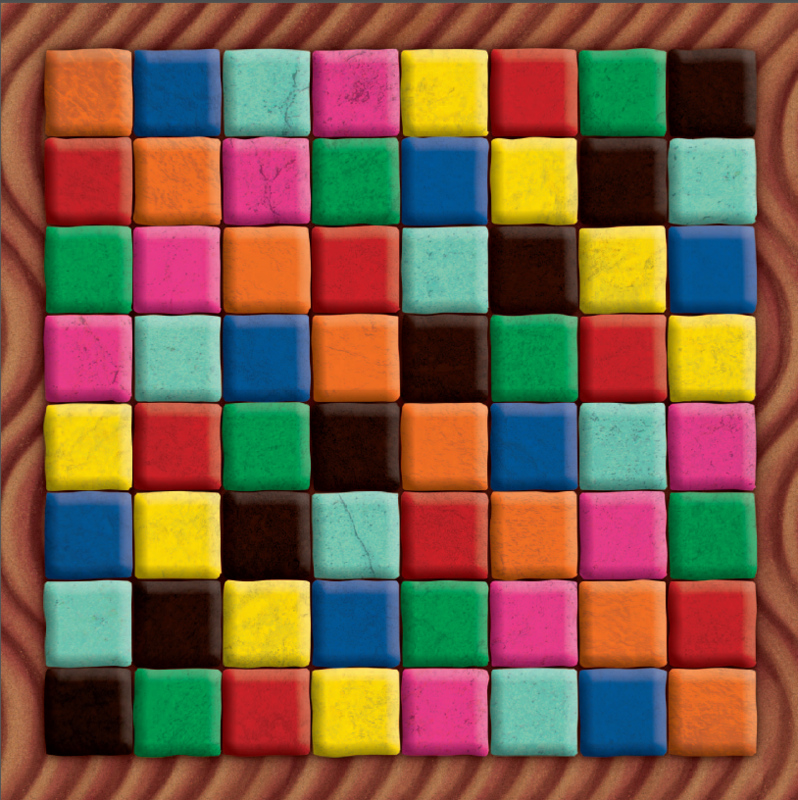 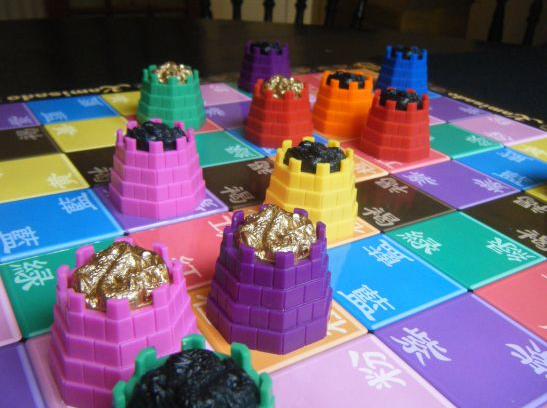 On each turn you can move a tower any number of spaces, but the twist is that you cam only move a tower if its colour matches the colour of the square that your opponent last moved to. 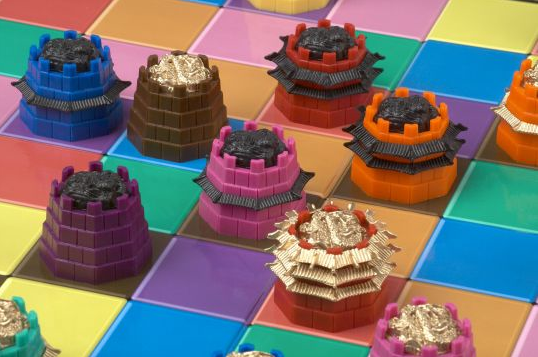 Sumo Towers and Sumo Pushes! 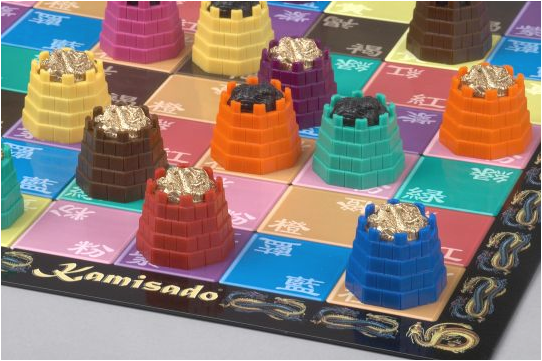 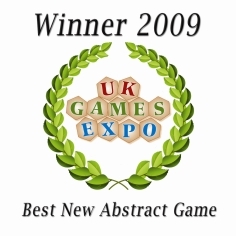 As the game unfolds, your towers will be promoted to ‘Sumos’ and will have the ability to push your opponent’s pieces backwards, earning you extra turns. 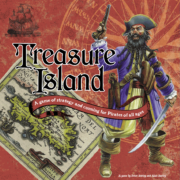 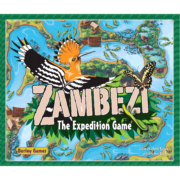 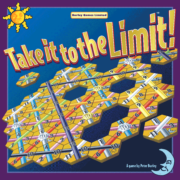 The situations continue to become more complex and challenging, until one player accumulates the winning total and can be declared a ‘Kamisado Grand Master’ – until the next game!